Have you ever fear that your short-sightedness might be getting worse tremendously over time? Are you tired of wearing thick glasses? Are you afraid of undergoing LASIK or any kind of surgery? Then, we have a solution for you! 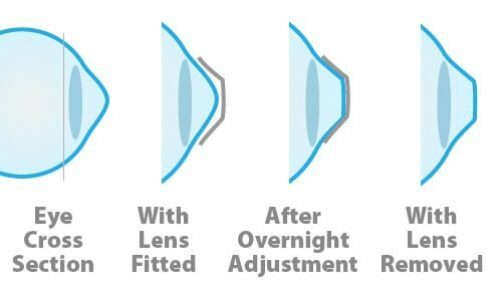 Introducing Orthokeratology (or commonly known as Ortho-k), a non-surgical procedure using specially designed contact lenses to reshape the curvature of the cornea (transparent front surface of the eye) to improve vision during the night, while you are asleep! Naturally, the length of a short-sighted eyeball is longer or the cornea is steeper (than a normal eye), both in which causes the light to focus off (in front of) the retina in the eye, thus, causing blurry vision. Now, with the aid of Ortho-k lenses, the eye surface is gently reshaped by this lenses while you are asleep to eliminate short-sightedness. Thus, having a clear, sharp and natural vision without glasses or contact lenses the next day when you wake up! Wouldn’t it sound fantastic and unbelievable? Literally, Ortho-k is a great alternative to LASIK which is safe and effective. In fact, it is deemed as the most effective method to date in slowing down the short-sightedness among children and teenagers compared to other treatments. Children whose short-sightedness increase every year and would like to seek for slowing it down. People who do not want the hassle of wearing glasses or contact lenses during the day. Adults who are not ready or not suitable to go for LASIK (or any kind of surgery) but would like to have an alternative to eliminate the needs of glasses. Ortho-k is a very safe and reversible procedure. It is made from an advanced highly oxygen permeable material approved by Food and Drugs Administration (FDA) which allows your eye to breathe overnight and maintain excellent health. 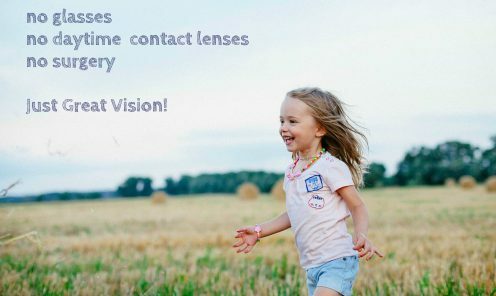 A well fitted Ortho-k lenses do not touch your cornea (the front surface of your eye), rather, it floats on top of the tear film. Therefore, safeguard your cornea’s integrity. Why do you choose Eyeplus Optometrist? We possess advance & up-to-date diagnostic equipment to facilitate Ortho-k fitting procedure. We owned Medmont E300, which is the one of the most advance topographer available in the market, that is able to provide accurate corneal mapping data to produce the best fit for Ortho-k lenses (without hurting your cornea). 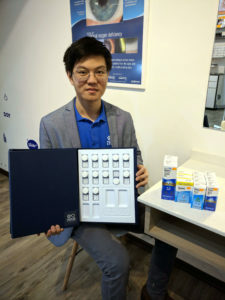 Our optometrists have years of experience in fitting Ortho-k lenses, coaching other practitioners and students to fit ortho-k lenses successfully.